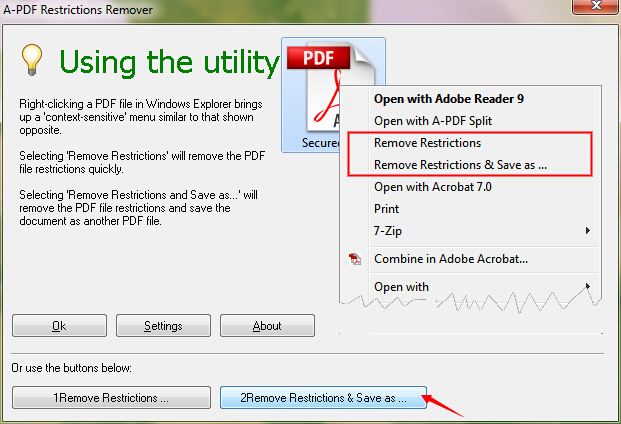 How to remove security from a PDF file by using A-PDF Restrictions Remover? I want to remove security from a PDF file. Is there any tool which allows me to do it with ease? With A-PDF Restrictions Remover, you are able to remove security from a PDF file in seconds. Step 1: Launch the program and click the "2Remove Restrictions & Save as …" button. 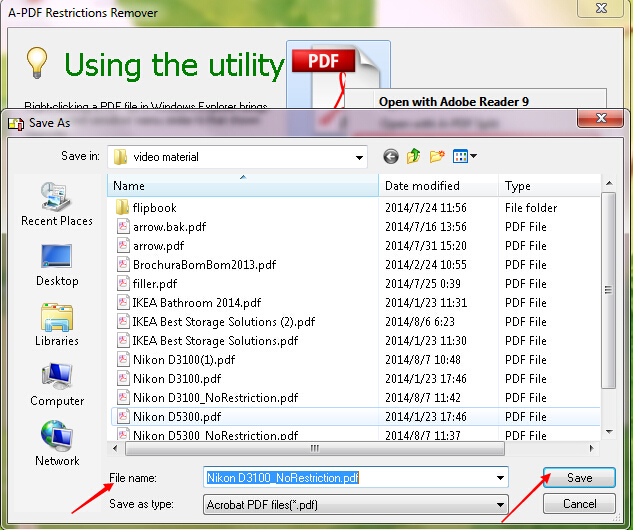 You need to choose your PDF file and then click the "Open" button. Step 2: Click the "Save" button after you fill the file name. A-PDF Restrictions Remover Command Line - A command line tool to remove PDF restrictions and password.